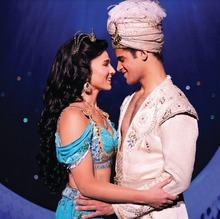 Don't you dare close your eyes--Broadway San Jose is bringing audiences to fictional, fantastical city of Agrabah, staging Disney's musical adaptation of the 1992 animated classic Aladdin. With less than two months until the live-action film release, this is your chance to catch an early peek into the Cave of Wonders. 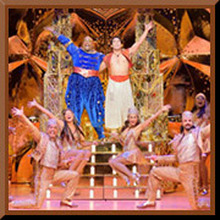 The show celebrated five years on Broadway just last month and shares a producer with Disney's biggest Broadway smash, The Lion King, which gets the live-action treatment this summer. The magic carpet ride runs through April 21.